I made two bento for Mother's Day last week, and I'm sharing the first one today. I actually planned to make 3, but had not enough time to make the third one. Mummy piggy and her two piglets. Not exactly my situation now, am into my 10th year of motherhood. This was probably me 7 years ago, juggling between a baby and toddler. I still remembered on a bad day, I will be slinging LT, as I go about bathing IT and cooking. Fortunately, I had more good days than bad ones, LT was generally an easy baby and IT helped me a lot then. 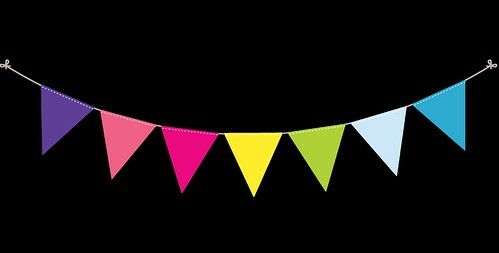 I do at times miss those days when my boys were still little, but on the other hand, I am also so glad that period is over. 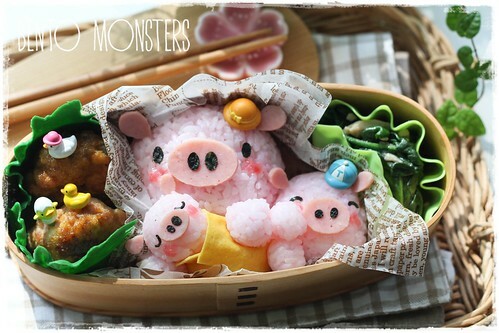 Piggies were made using rice coloured with pink sushi mix. I used nori and ham for their details. 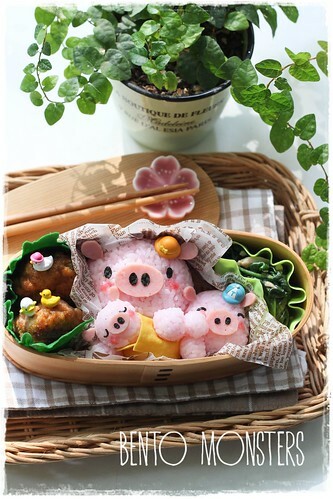 The blanket wrapped around baby pig is an egg sheet. The side dishes for this bento were teriyaki meat patties and stir-fry spinach with mushrooms. Eeeeeeee an actual PIG IN A BLANKET! Awesome! 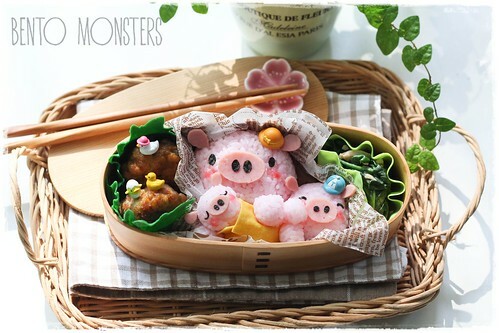 Very sweet bento! Love the baby piggy!